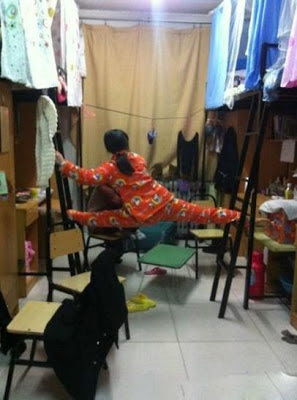 A college student in China studying dancing practice a set of difficult gestures of splitting legs in her dorm. 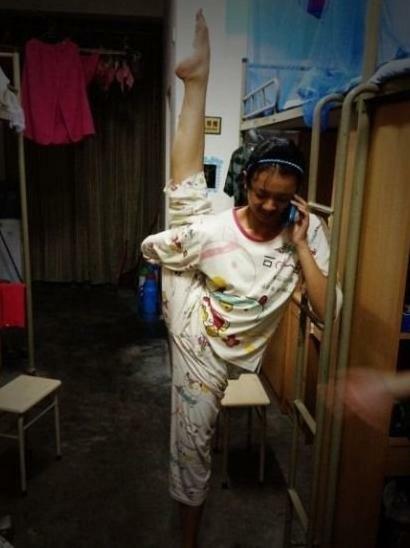 After uploading her photos on Weibo, many people post their own photos challenging her leg splitting stunts as below. Any challenger from the male?